Are You Offering Video for Your Photography Clients? The face of professional photography is changing. In many genres, particularly wedding and event photography, shooting stills is no longer enough to clinch the best gigs. With the improvement of video capabilities in the latest DSLR cameras, more photographers are including video in their standard packages, and more clients are expecting it. If you're not providing it, you're probably going to be losing business. For many photographers, making the transition to video recording isn't as easy as it sounds, because motion picture recording presents unique lighting challenges. 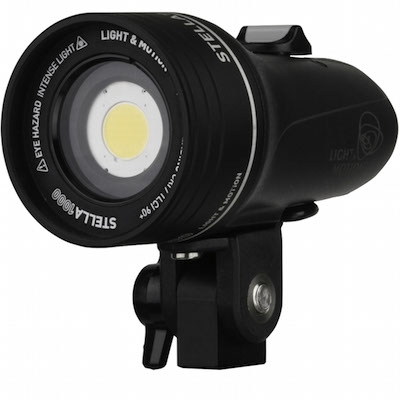 For the best results, video recording requires high-performance, portable lighting. Fortunately, that requirement isn't as difficult to fill as it once was. Continuous LED lighting is opening new doors in this industry. Thanks to compact, powerful and flexible sources that accommodate a wide range of creative modifiers, LED lights can match the flexibility of your DSLR, making for an ideal video recording setup that goes anywhere. Just as a still photograph can be enhanced by the addition of a soft box, snoot, grid, reflector, etc. to the light source, beautiful cinematic effects are available for your videos, creating an entire new avenue for your creativity and a new product to add to your photo packages. As one of the most versatile continuous LED lighting options, Stella lights from Light & Motion are a choice we're happy to recommend. These powerful light heads are designed to be used with a variety of press-on portable modifiers that provide convenient, simple light shaping abilities. 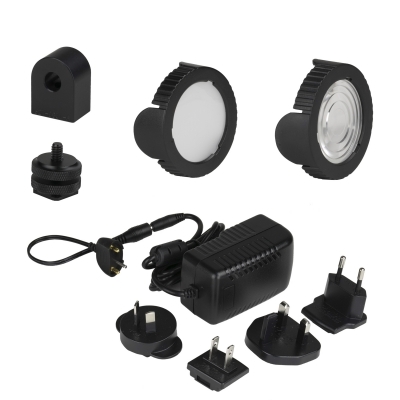 Adapters are also available to mate them to popular photographer's tools, including Profoto and Elinchrom light shapers to create a system with incredible versatility. Imagine the possibilities for both your stills and motion work, from “film noir” lighting to creating a ray of sunlight through a window. With Stella lights, your imagination and creativity are the only limits. Stella's integrated battery and a wide variety of mounts add to its versatility, making it a convenient and powerful workhorse for street/event, daylight-balanced photography and videography, too. It's Stella's ability to integrate with other light shapers, though, that makes it a powerful, professional tool for stills and digital film work . Photographers finally have a viable alternative to strobes that allows them to shoot both stills and motion while leveraging their current investment in photo and lighting equipment. See the Stella line today and learn how you can add beautiful video production to your repertoire as well as consistent, versatile continuous lighting for your still photography.